The Executive Vice Chancellor and Provost is the chief operating officer of the University of North Carolina at Chapel Hill, reporting directly to the Chancellor. 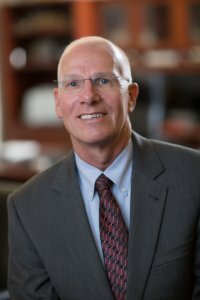 The current Provost is Robert A. Blouin, Bryson Distinguished Professor at UNC’s Eshelman School of Pharmacy. Dr. Blouin previously served as Dean of the Eshelman School of Pharmacy, and has been provost since 2017.